Despite an environment of economic and political crisis and the fragmentation of trade and investment rules through the creation of several preferential trade agreements, the DSB has survived through the years as a stable and technical organism with extensive case law. However, the new investment-sensitive issues have required a more complete and consistent regulation through international trade and investment rules. As a consequence, bilateral investment agreements and the recently created mega-agreements, such as the CPTTP, the EU-Canada CETA, and the project of TTIP, established new investment parameters and dispute settlement mechanisms to deal with investment disputes. 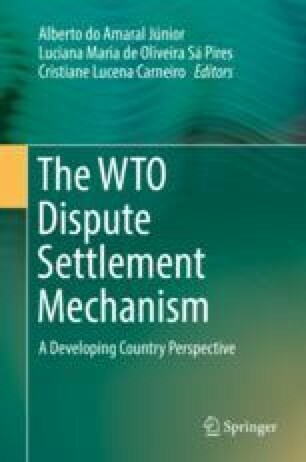 The chapter investigates the evolution of the regulation on investments in the multilateral, bilateral, and regional sectors, as well as the position of Brazil and the possibility of conflict between the WTO Dispute Settlement System and the new dispute settlement mechanisms on investments created by the bilateral and regional agreements. The authors would like to thank Michelle Ratton Sanchez Baddin and Cristiane Lucena Carneiro for their very useful comments and feedback regarding an earlier version of this chapter.